(PONCHA SPRINGS, CO) — The cats at Elevation Beer Co. are stoked to announce the righteous return of Acide, their award-winning kettle sour saison and original variant of the Acide series. Acide is truckin’ for its third year in 6 packs of 12 oz. cans and on draft across Colorado and Wyoming while supplies last. The French translation of sour, Acide, is the brewery’s trip into the increasingly popular style of kettle soured beers and has since spawned several fruit variants including Peach, Pineapple, and Pomegranate Acide. The use of Lactobacillus in this brew lends an approachable level of puckering sourness, pleasant acidity, and a tart refreshing finish on your tongue. Acide is 4% ABV with 10 IBU and pours straw colored with brilliant clarity and visuals. Lemony and floral aromas arise from a good dose of Amarillo hops and meld with a subtle graininess making Acide a hit with brewery staff and patrons alike. Proudly operating in the remote mountain town of Poncha Springs, Elevation Beer Co. is more than just a beer company— we are a family, a community, and a collective of ordinary people doing extraordinary things. 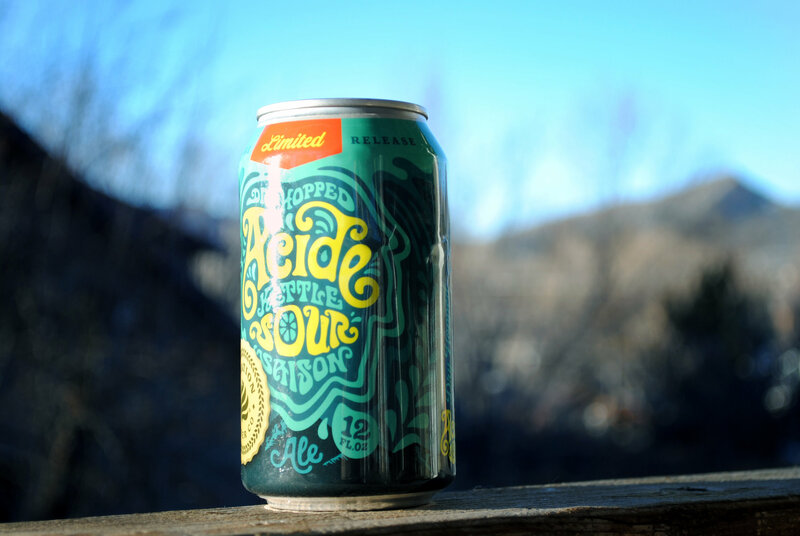 Dedicated to creating sustainable, meaningful careers in rural Colorado, we take the preservation of our home as seriously as we do the quality of our beer. Taste our flagship 8 Second Kolsch and a lineup of other usual suspects and seasonals at our tasting room, and in canned 6-packs and specialty bombers across Colorado and Wyoming. Go higher at elevationbeerco.com.